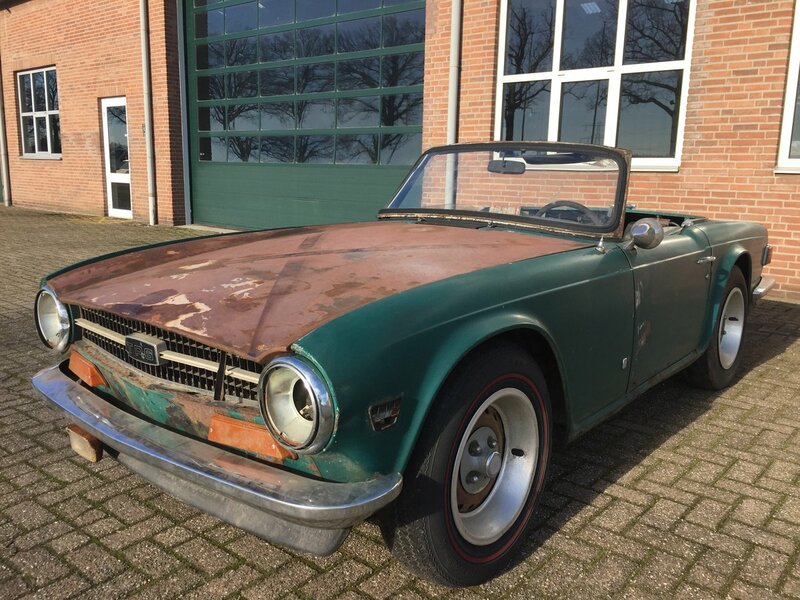 This Triumph TR6 was bought by us in the US state of Arkansas. It was previously titled in Georgia and is said to have spent the majority of its life in the southern United States. The car has been off the road for at least two decades and is awaiting a body-off restoration. Having been well-preserved, the chassis appears to be in good condition, with no visible rust damage. The body is relatively solid, although it will require new panels in some of the most common weak spots: sill panels, floor boards, boot floor and battery tray. Repair work is also needed on the door panels.  The boot lid should be repaired or replaced. Generally, the body is in unmolested condition, with no signs of old repair work. 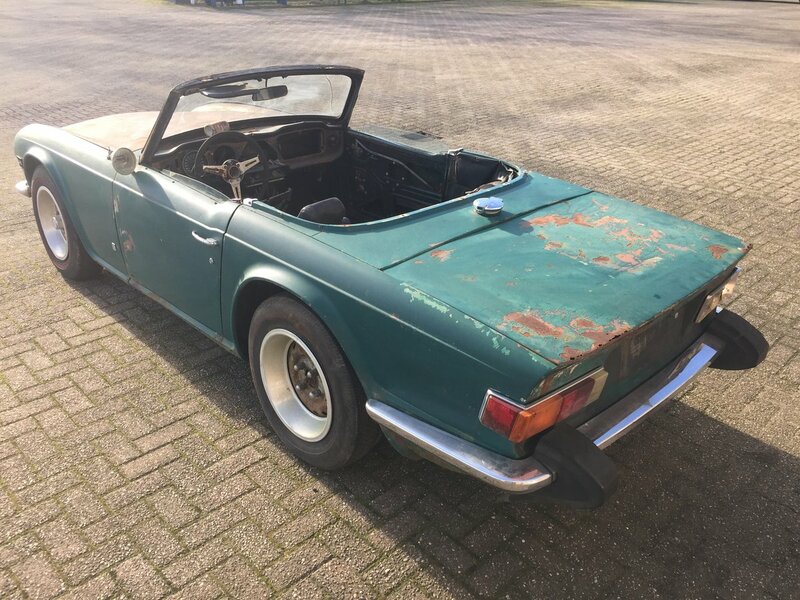 Second paint in its original tone of Emerald Green, possibly the best looking colour on a Triumph TR6. 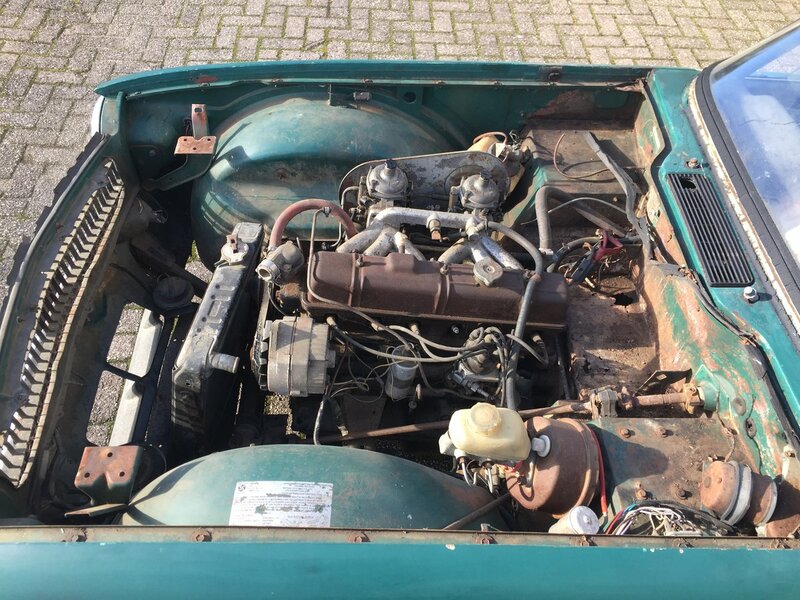 Under the bonnet, everything appears to be original. The engine turns by hand. From the CT number, it appears to be the original power unit. Engine, commission, body and gearbox numbers are believed to be matching, although we do not have a heritage certificate to prove this. Standard 4-speed gearbox. 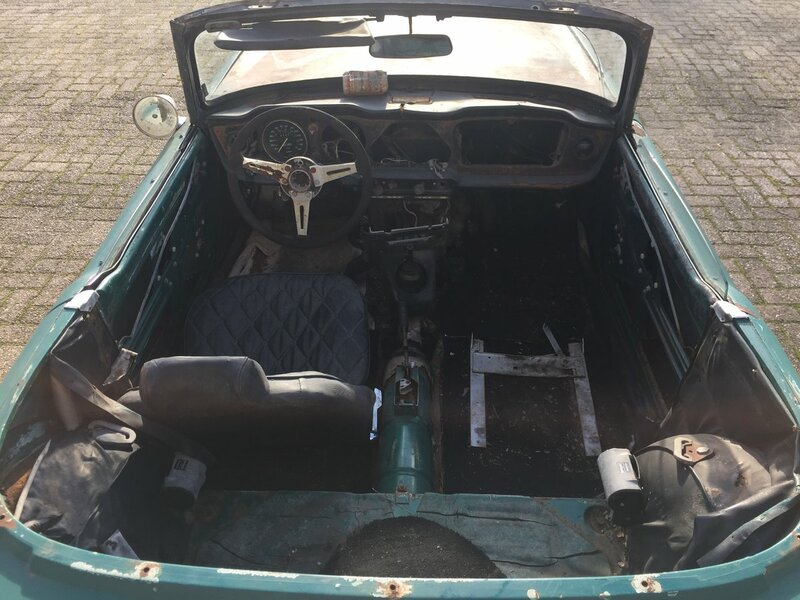 The interior will need to be completely refurbished. The car is complete, including a second seat, spare wheel, tachometre, oil pressure and fuel gauge. Some extra spare parts are included. 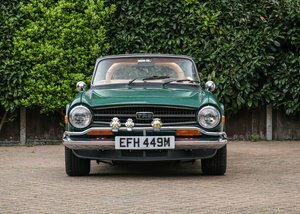 This TR6 is an excellent canvas for a body-off restoration, both to professional and amateur restorers. 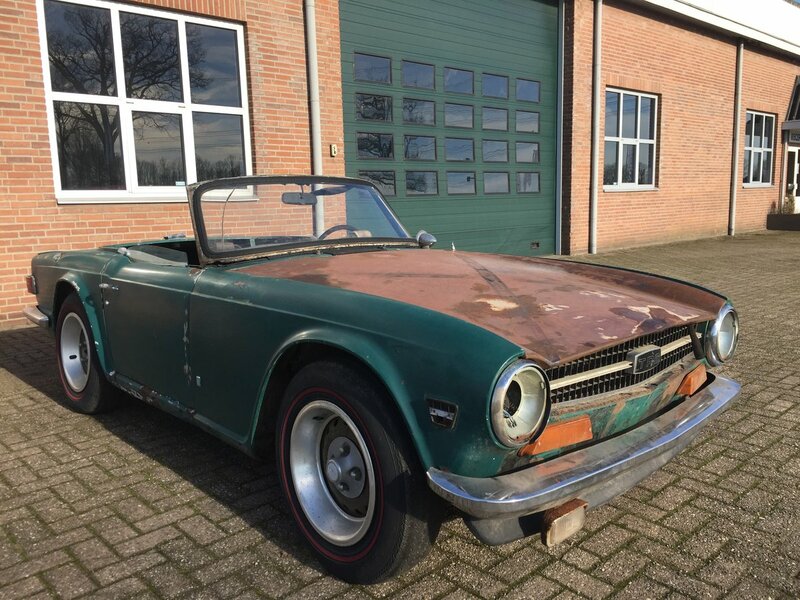 The Triumph has a US title (Arkansas) and EU customs document. All import duties have been paid. Door-to-door delivery possible (EU only), contact us for a shipping quote. 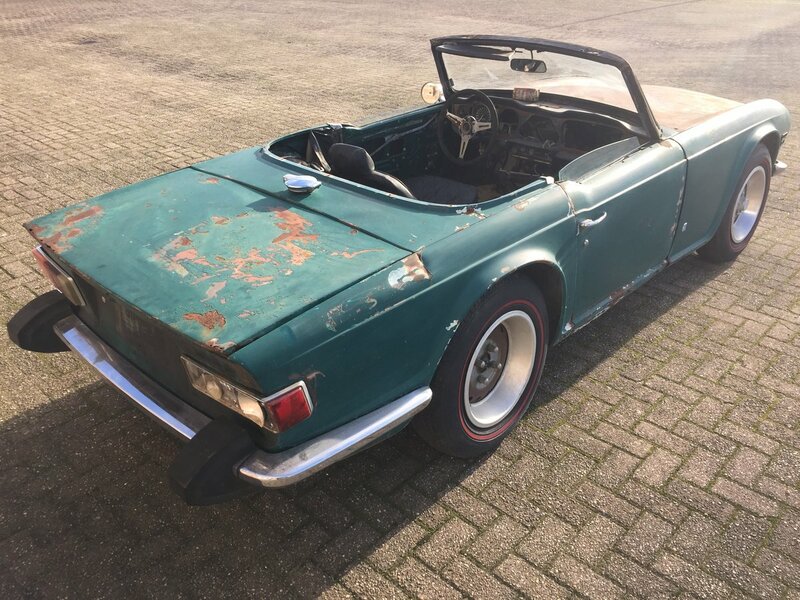 Visits and inspections by appointment at Dandy Classics in the Netherlands.